Locks are the one thing you need to look after in your house, because they are the only thing in between a criminal and your home. There are many different types of locks in and around the home, from the many door locks, to window locks and garage door locks. It’s important to keep all locks in working order and to have the right locks in the right places,we at keywise pride ourselves in our high standard of work and customer satisfaction and we always make sure every job is done to the highest standard to ensure your safety and satisfaction to all of our customers, all of our locksmiths are fully trained and accredited and CRB checked we have also built our reputation on reliability ,friendly and honesty just take a look at the keywise google+ page and look at our customer reviews . we offer a true free call out service meaning if we do not do any work for you we do not charge a penny and our locksmith van is always stocked up fully to ensure the job is completed on the first visit also please remember we are a independent company and family run we offer true honest prices for all your security needs 24 hours a day. Who has the key to your home . if your home or business was previously occupied your never know who else has the key to your home or business when you take over possession, also another strong point to remember is you should always check to see if your locks comply with the insurance requirements BS3621 showing the british standard kite mark, all british standard locks BS3621 are more resistant to burglars due to the locks security features that are put into place. When locks have to be replaced, it can be for many reasons. 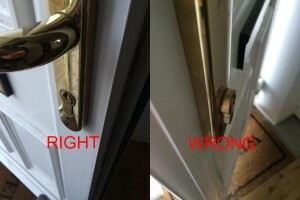 For example many people don’t realise that they have the wrong sized cylinders installed, and it will actually void the any house insurance, in the case of a break-in also the cylinder is the most vulnerable point of the locking system it does not matter how secure or how many hooks or deadbolts you may have on your multi-point locking system it is the cylinder that will open your door in seconds having the right cylinder with the correct size will prevent a burglary to your home. Any more than a 4mm overlap from the door is enough snap the cylinder and render it useless. When you think about just how much stress that thin strip of metal goes through on a daily basis, opening and closing locks, getting sat on in your back pocket and how many times do we all drop our keys? Its not a surprise to think that at some point a key will snap, while it’s in the cylinder. If it does and it cannot be removed or it was the only key, there is no choice but to change the lock. Like every other technology, locks have become more complex and secure. The classic euro cylinder is a great example of how the industry has evolved mechanisms to create a lock that is virtual impossible to open without the key, for example, the Avocet ABS High Security Euro Cylinder. Its the lock that KeyWise promote to protect your home. The key’s can only be cut by the manufacture, if you lose the keys you have to contact the manufactures with your personal lock number and details. It has anti-pick/bump/snap and drill features that make getting in without a key a virtually impossible for anyone less than a very experienced locksmith, and even then its not quick. 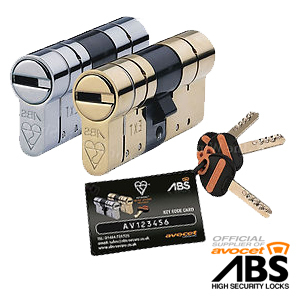 KeyWise stocks the Avocet ABS High Security TS 007 s star rating Euro Cylinder at all times and is more than happy to provide you with our very competitive quote, the abs high security cylinder are anti- bump, anti-snap, anti-drill,anti- screw the police preferred lock cylinder can also be one key home options too making this cylinder the highest UK accredited cylinder, Call us on 07453327708 or 02381 550025. for a quote. If you need any locks changed, for any reason, KeyWise is your low cost solution, guaranteed to beat any genuine quote.